Around one third of the $32.3 million directed toward restoration has been spent. The Bay was blanketed in fog on the morning of November 7, 2007 as the container ship M/V Cosco Busan steamed out of the Port of Oakland, toward the Golden Gate. Due to a chain of blunders by its crew, marine agencies, and a pilot who a court later determined had overdosed on prescription medication, the vessel’s hull scraped against a fender at the base of Bay Bridge support tower, tearing a 200-foot gash into its hull. 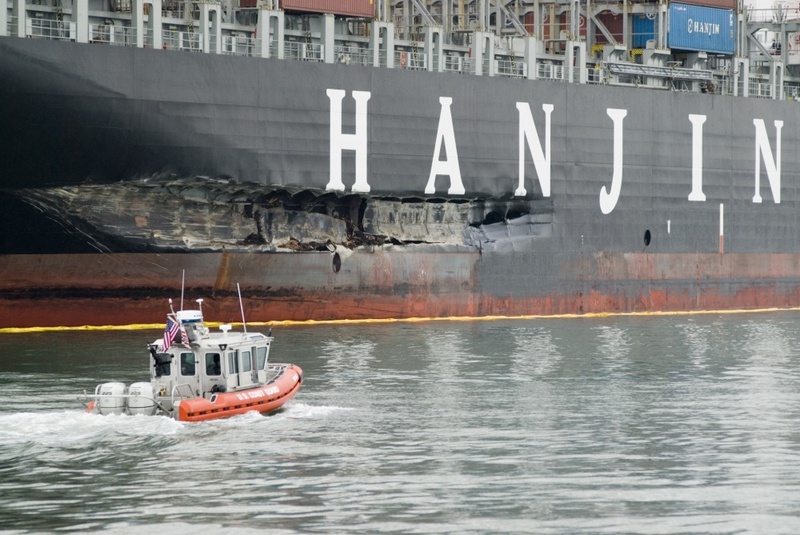 More than 53,000 gallons of thick bunker fuel from two of the ship’s fuel tanks gushed into the Bay. It was the worst oil spill to occur here since 1984. Along the coast the slick extended north nearly to Limantour Spit in the Point Reyes National Seashore, and south to Pillar Point Harbor. Inside the Bay oil extended from the San Rafael Bridge to Oakland Inner Harbor Channel, oiling the shorelines at San Quentin, Tiburon, Richardson Bay and Angel Island. An estimated 6,849 seabirds and waterfowl died as a result of the spill, according to a report prepared for the California Department of Fish and Wildlife Office of Spill Prevention and Response, and the oil reduced up to one-third of that year’s herring spawn. In 2011 the ship’s owners and operators reached a settlement with federal, local and state officials to provide $44 million to attempt to repair the damage. In 2012 state and federal spill trustee agencies—the California Department of Fish and Wildlife, California State Lands Commission, National Oceanic and Atmospheric Administration, U.S. Fish and Wildlife Service, National Park Service, and Bureau of Land Management—released finalized plans for the money aimed at improving roosting and nesting habitats, restoring eelgrass and oyster beds, trail-building, and other recreation infrastructure work. ← Lerner’s Permit: How Young Is Too Young to Begin Avalanche Ed?